At last, my new camera has made its way to my gracious presence. Just to see how it would fare at taking photos of food, I had a plan to visit Tokyo Thyme and order some photogenic dishes. I was highly ecstatic at the thought of capturing stunning food photos to wow my dear readers (that includes you!) and walked across the quaint streets of Kerrisdale like a kid who had just eaten a bathtub of gummy worms. Unfortunately, things weren't meant to be, as Tokyo Thyme decided to spice up my hunger by taking a surprise four-day break. 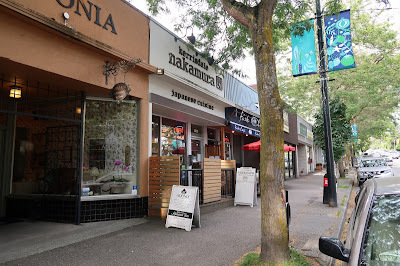 Since I was too famished to bus to a new location, I walked around to scout for a legitimate-looking sushi restaurant, and the first one I came across was Kerrisdale Nakamura. Kerrisdale Nakamura is an authentic Japanese restaurant that specializes in traditional Japanese cuisine. It features a small but elegant dining space with wooden tables and leather chairs. I felt like a classy person just by being inside the restaurant. Plopping my camera on the table, I proceeded to engage in the daunting process of planning out the precise combination of dishes I wanted for dinner. However, after staring at the menu for nearly 15 minutes, I gave up and just went with the Tasting Course Dinner. I had faith that they would know what they're good at better than I would. The Goma-ae was a solid start to the dinner. It featured tender baby spinach, and the sesame sauce was nicely spread out throughout the spinach for a consistent sweet flavour. 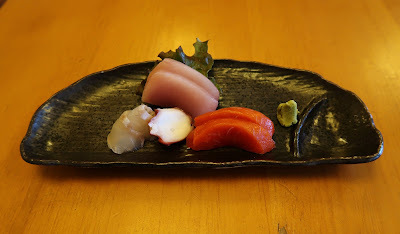 This assorted plate of some of the most miniature slices of sashimi I have ever seen was successful for the most part. The Tai Sashimi had a very smooth texture and a well-rounded, delicate, sweet flavour. The Tako Sashimi had just the right amount of chewiness and tasted fresh. The Tuna Sashimi was extremely fresh and took my soul for a brief trip to fish heaven. My trip was abruptly interrupted by the Sockeye Salmon Sashimi, which was a surprising blunder as it tasted rather fishy. The next course, the Assorted Tempura, came with two prawns and one piece each of sweet potato, eggplant, kabocha, and green bean. 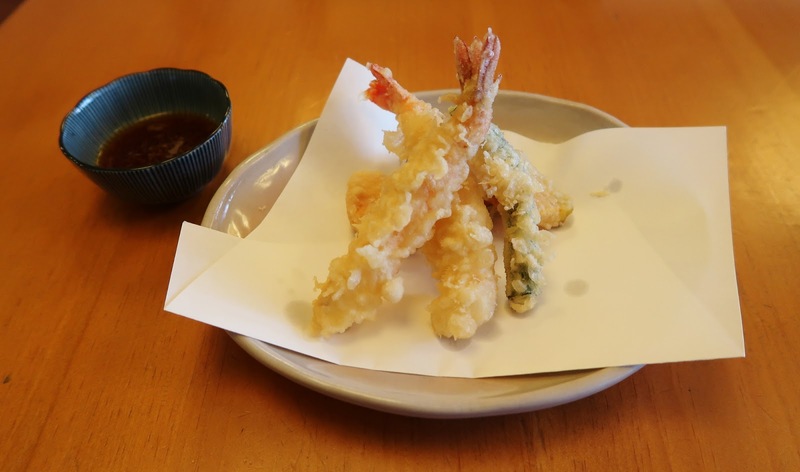 The tempura was perfectly matched with a dipping sauce that contained finely grated daikon and ginger. 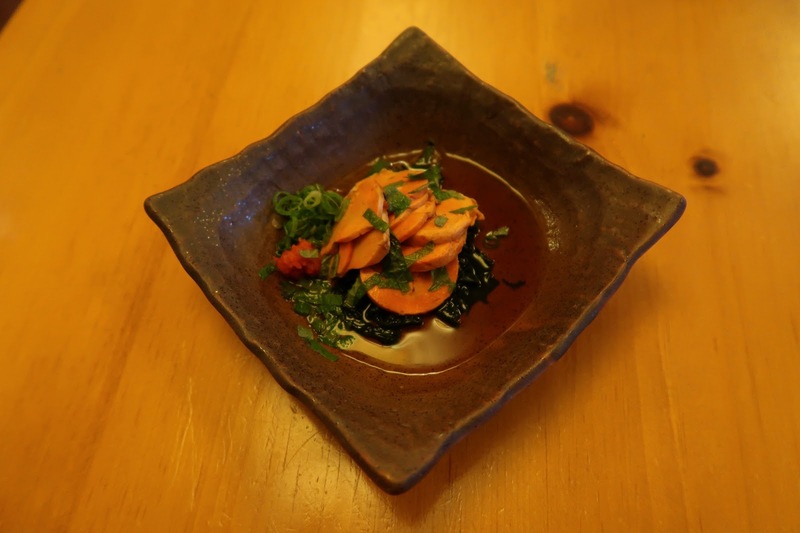 The prawns were the best of the bunch as they were plump and juicy, while the weaker pieces were the eggplant and the kabocha. The batter was applied in the right amount, but it would benefit from being a bit flakier and less hard. 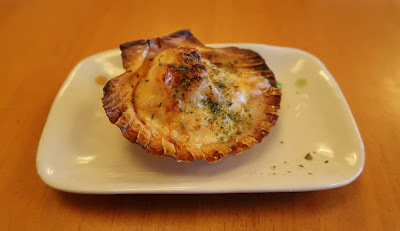 Presented adorably in a scallop shell, the Baked Shrimp and Scallop with Mayonnaise came with remarkably soft scallops and juicy baby shrimp. It featured a prominent egg flavour and felt lighter than a motoyaki. Not too long after experiencing the case of the minuscule sashimi, I came face to face with the case of the smallest sunomono I have ever seen. Inside the sunomono were lots of finely sliced cucumber, some kelp, and some real crab. 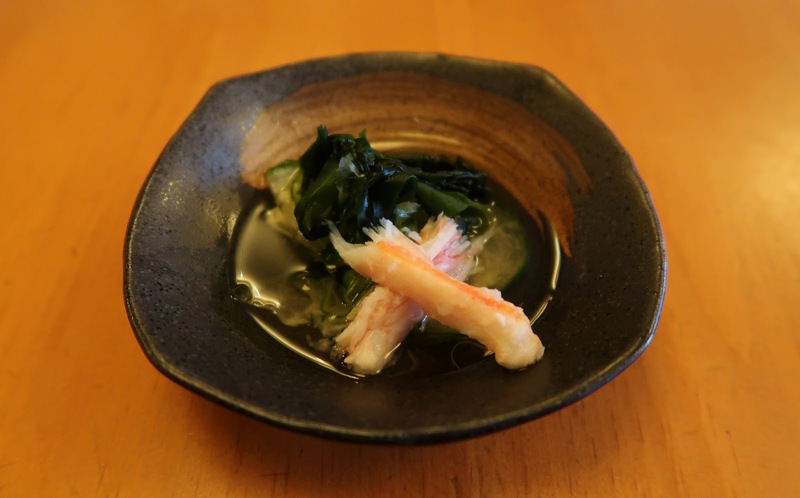 The crab meat was soft and silky, while the vinegar was quite acidic and too sour for my liking. It did not exactly complement any of the ingredients. Next, the Chicken Teriyaki was well-dressed with a nice homemade feel. They were not the most succulent pieces of chicken, but they were still tender. I would have enjoyed the chicken more if it had more of a grilled flavour. 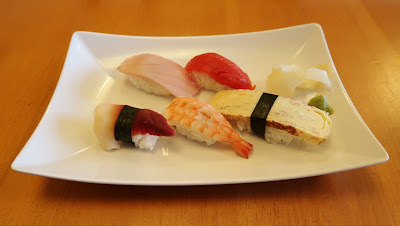 Rice aside, the tuna was fresh and melty, and the hokkigai had an appealingly chewy texture. The sockeye salmon lacked a definite fresh taste, while the sweet ebi was accentuated by some intriguingly dry and mushy sushi rice. My favourite of the bunch was the Tamago Nigiri, which came with sweet, fluffy, cake-like tamago and was quite enjoyable. After all seven courses of the tasting meal, I was still not full, so I went for the Ankimo (monkfish liver), a classic Japanese delicacy. The ankimo itself was decent and exhibited a nice smooth texture. Unfortunately, the cutting skills were not exactly on point, as more than half of the pieces fell apart when I tried to pick them up. It was as if the chef's knife broke and he suddenly had to use scissors to finish the task. 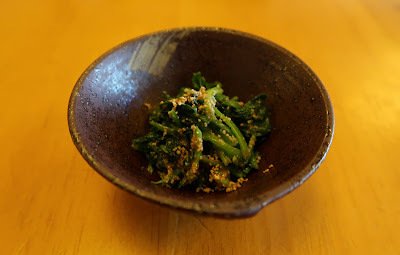 I also wasn't particularly fond of the strong ponzu dressing, which completely overwhelmed the ankimo. The Japanese waitress was professional and provided friendly service to every table. My dinner started off on a high note but ended with multiple mishaps towards the end. Given the price point, the quality of the food fell short of my expectations. 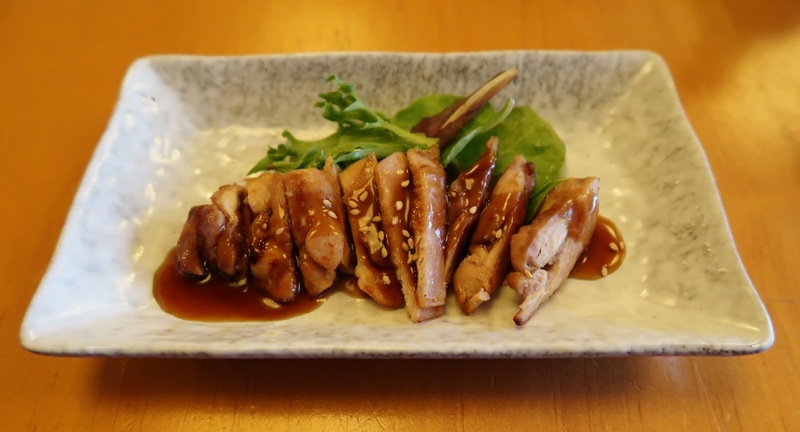 However, diners who are not very detail-oriented may still have a very enjoyable experience here, as the restaurant does a remarkably good job of giving the illusion that it is a very high-end place. Hardly anything says high-end better than tiny portion sizes and high prices, right? LMAOO "I felt like a classy person just by being inside the restaurant." Yes, no more pictures with the wrong white balance and fuzzy details! I should make it to Tokyo Thyme sometime the next month or the month after. Sometimes, I enjoy going to classy places just to enjoy the feeling of being classy for like an hour or so LOL.